This 9" x 10" grip bag matches our 3 Elephant leotards perfectly! 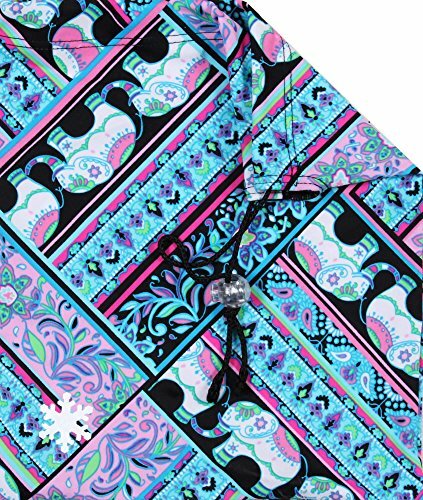 This fabric is soft nylon lycra with a pastel elephants, prints, and flowers. Now included with a cord lock! Use this bag for holding your grips, wristbands, tape, etc. If the item is showing as out of stock or if there isn't enough quantity available for your order, please email us so we can check our stockroom. If you have any questions about this product by Snowflake Designs, contact us by completing and submitting the form below. If you are looking for a specif part number, please include it with your message.